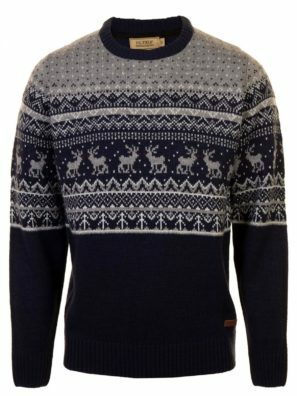 Is there any better festive wear than a woolly jumper? With #ChistmasJumperDay and #UglyChristmasSweaterDay becoming annual traditions, we wanted to work out the best way to represent Scottish pride this festive season while joining in the fun. 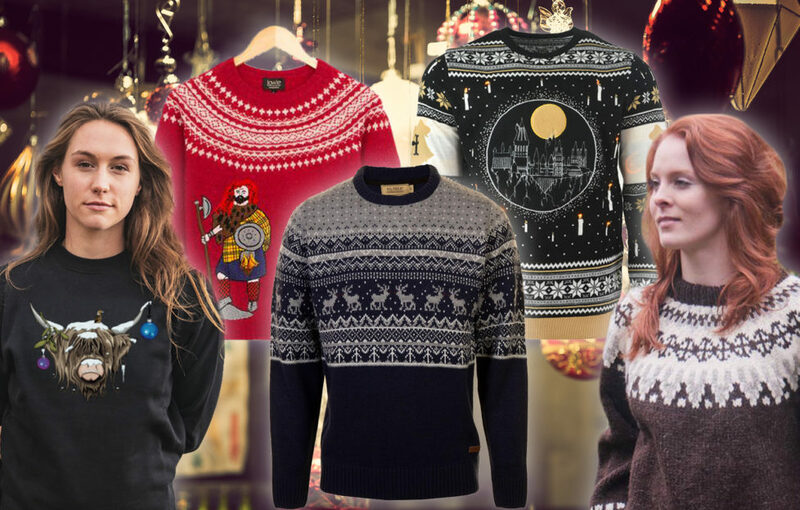 We’ve scoured retailers big and small to find the best and most Scottish Christmas jumpers around. 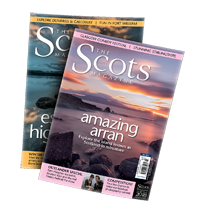 Every jumper on our list either features iconic Scottish sights or was made somewhere within the country. 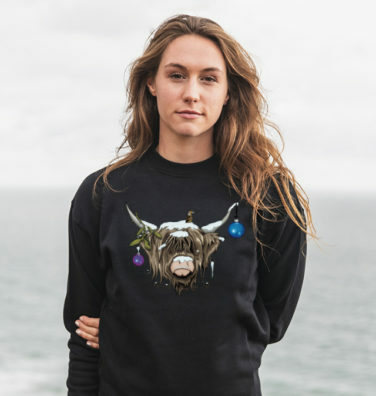 It may not be a traditionally knitted Christmas jumper, but it’s hard to resist this adorably festive highland cow print. This crew neck jumper is made using super soft organic cotton. It’s printed with eco-friendly inks in an award-winning ethical factory, powered by renewable energy. Even better, Christmas 2018 falls on #CoosDay! Produced by the iconic Edinburgh Woollen Mill, this crew neck jumper by P.G. Field is a classic. It looks great whether worn with trousers or jeans and makes a smart way to add a layer of warmth. 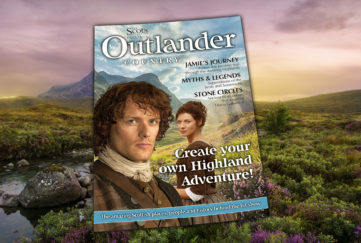 The design is filled with classic patterning, plus deers, trees and even falling snow. 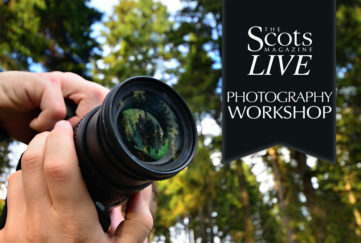 It’s a complete Scottish winter scene in a jumper. 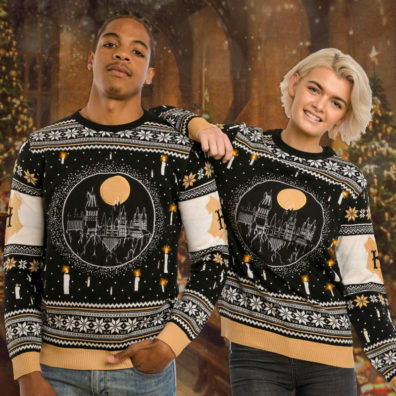 All Harry Potter fans know that Hogwarts Castle is nestled in the Scottish highlands, so why not represent this iconic building while keeping warm? Whether you’re a Gryffindor, Hufflepuff, Slytherin, or Ravenclaw, this Hogwarts design and great knitted feel definitely does the job. It’s also covered in LED candles that flicker like the floating candles of Hogwarts! A collaboration between French brand Kilometre Paris and Trouva produced this luxury Christmas jumper. 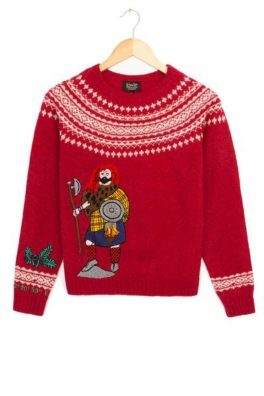 The Lowie classic red snow jumper features Malcolm, a chief of the MacLeod clan from the 1300’s Isle of Skye, resplendent in the clan’s tartan and a sporran tassle. Geographical coordinates for the Isle of Skye and a sprig of Juniper are embroidered onto the left sleeve with delicate beading. The jumper is hand-knitted from 100% British lamb’s wool for Lowie in Peterhead, Scotland and hand embroidered in Kolkata, India. 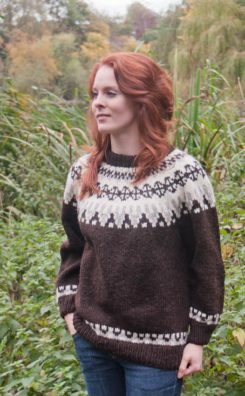 Each of these high-quality Icelandic jerseys is knitted by a specialist Scottish knitter in their own home using a traditional Icelandic pattern. Each one comes labelled with the knitter’s name and location as a certificate of authenticity. It’s hard to beat a truly home-made Christmas jumper. This jumper can protect you against the elements because it is made from 4ply pure new wool. This makes it much thicker, warmer and more durable than the typical 3ply of the Arran pattern. 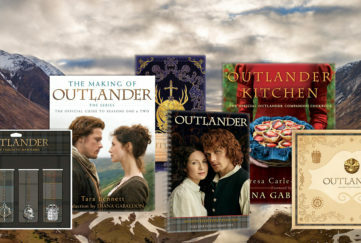 For more Scottish gift ideas click here!